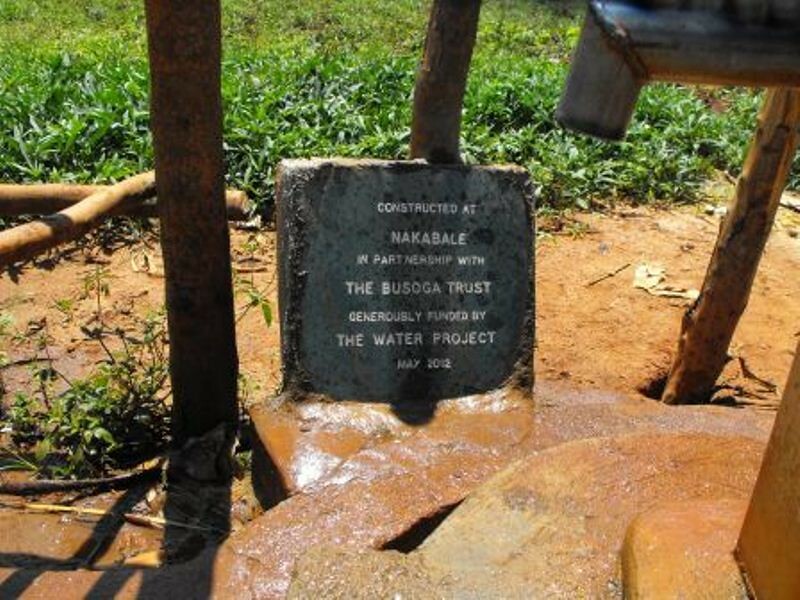 Nakabaali, inauspiciously when it comes to digging wells, is a name that refers to the large rock in the centre of the village. This is an impressive boulder in the upmost part of the village, and consists of a football field area of bare domed rock. Nestled in between the rocks is a small trading centre and the local primary school. The village is large with many households spread along the road trailing into out other site at Bubaali. 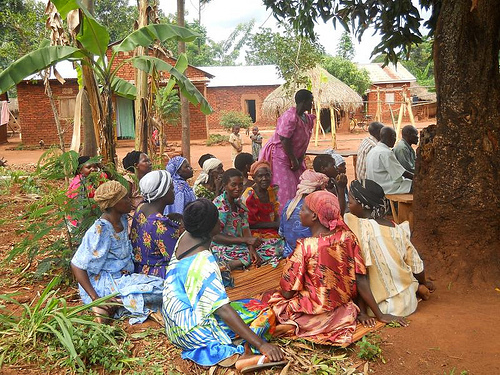 Most people live on the higher land and the lower areas are left for cultivation of the staple foods which include maize, rice, sweet potatoes. 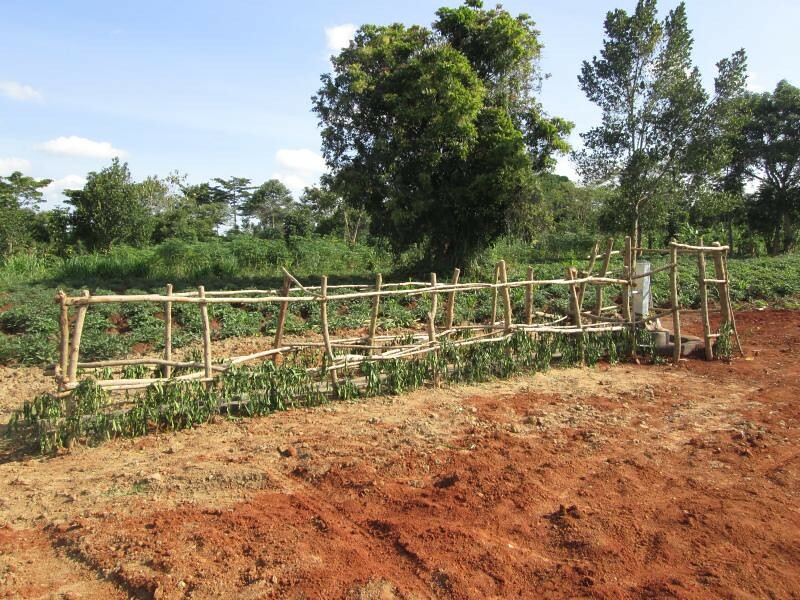 There are also many fruit trees such as matooke, jack fruit and passion fruits as well as the ubiquitous sugarcane, which is the regions main cash crop. Most of the village are involved in subsistence farming, but at the moment there is a slight famine as the maize has not yet been harvested and supplies from last harvest are running low. Apart from poor food security there is also no safe water source in the extended village. Therefore the large population all take water from the swamps that run alongside. 7/9/2012: Nakabaali is complete as well! The water storage has been enlarged (this was needed to low recharge rates). 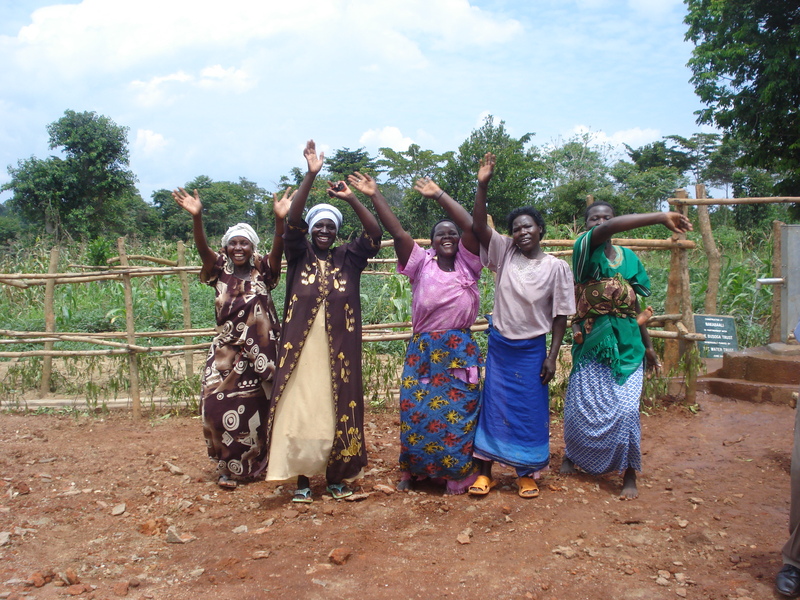 I visited Nakabaali and was greeted by these happy, singin ladies. The woman in the purple shirt is the treasurer of The Water User Committee. 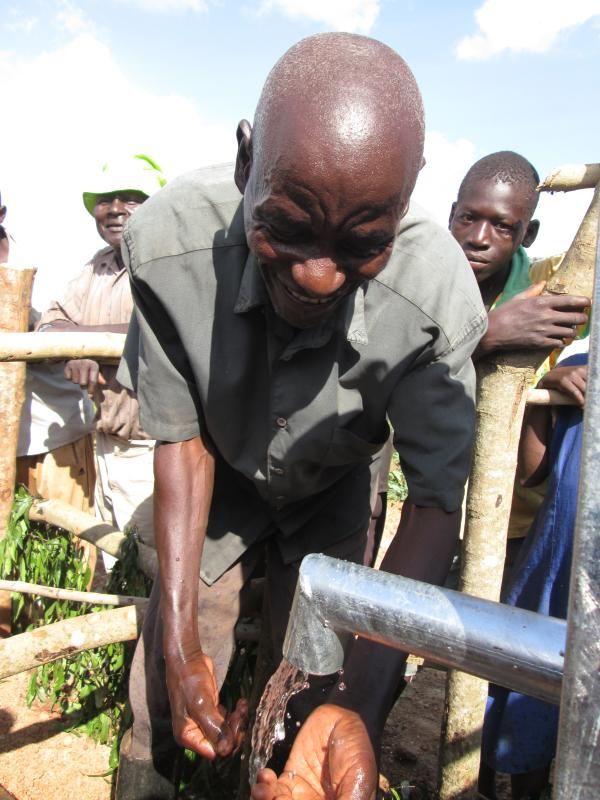 She explained to me that the harvest was imminent and she would then begin collecting water user fees, as households would have a bit of income leftover from their crops. 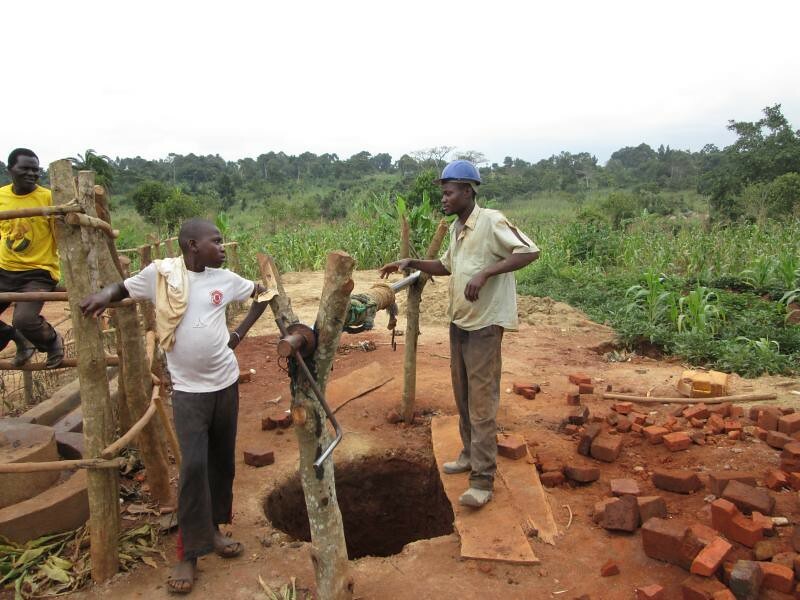 17/7/2012 – We have decided to revisit this site and dig a secondary tank at the well. It seems the recharge of the well is even less than we originally thought, the sandy soils seem to be quite illusionary. 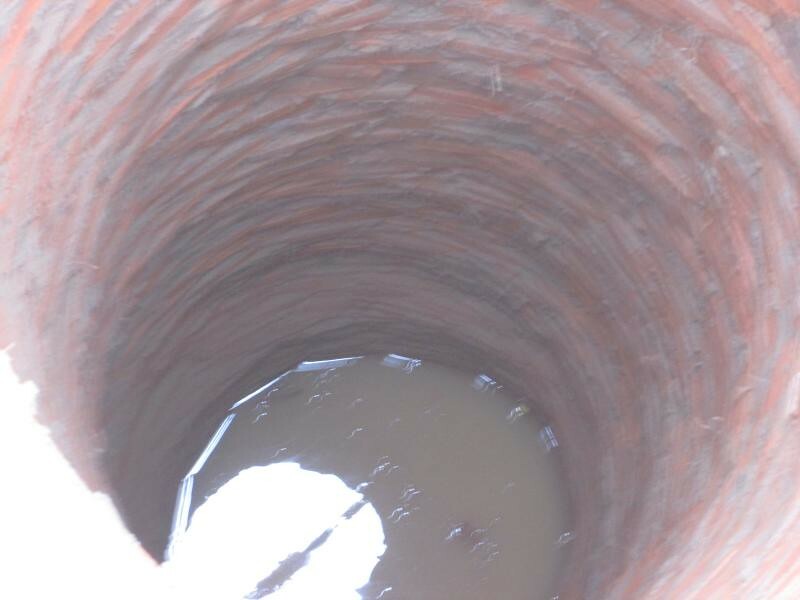 Similarly, it seemed the village exaggerated the final depth of the well rather than 29ft it is only 27.5ft. They confessed their mendacity and said they were tired of digging due to the 3 other sites they had and thought they had enough water. 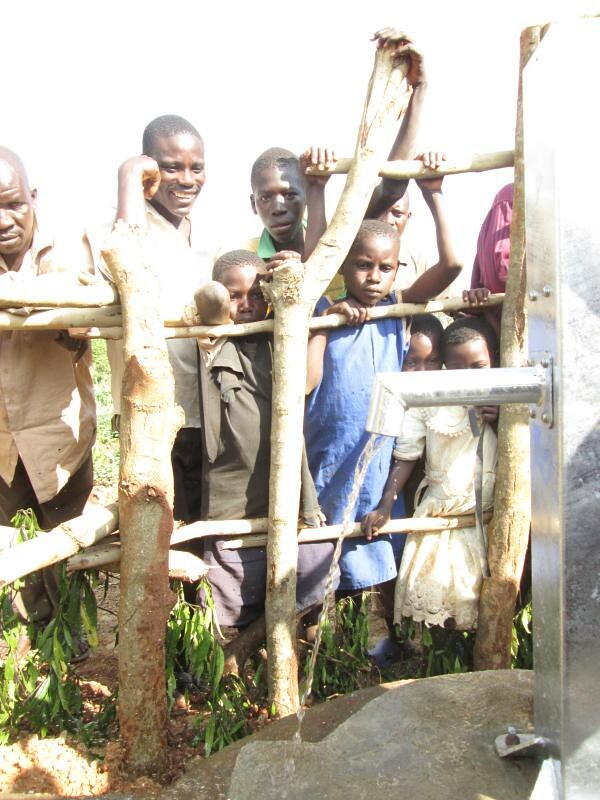 But they tell us that they sometimes can only draw 100 jerrycans per day, because the well has inadequate water. So after consideration we have forgiven the village and we have sent the technician Lukwita back to site. He will dig a secondary tank next to the original well. These 2 tanks feed into each other. Although it does not effect the recharge rate, it will allow for a greater volume of water to be held in the well at any one time, so it will be unlikely to run dry. 23/7/21012 – A slight hiatus in not getting back to the site. 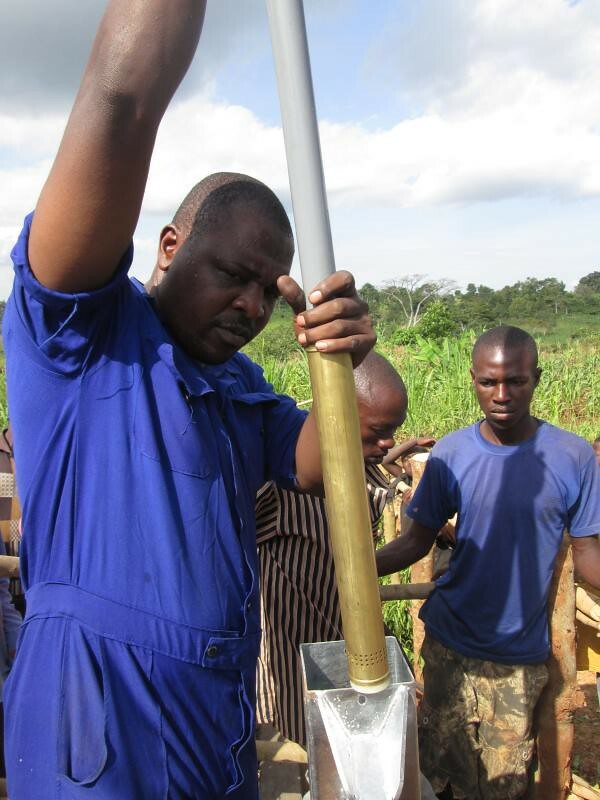 We’ve been conducting the hand pump mechanics training in town last week and over the weekend so the technical staff were not in the field. Nevertheless, to day they found good progress in Nakabaali. Lukwita had worked quickly and was at a depth of 28.5ft. He’s been instructed to dig as deep as possible. 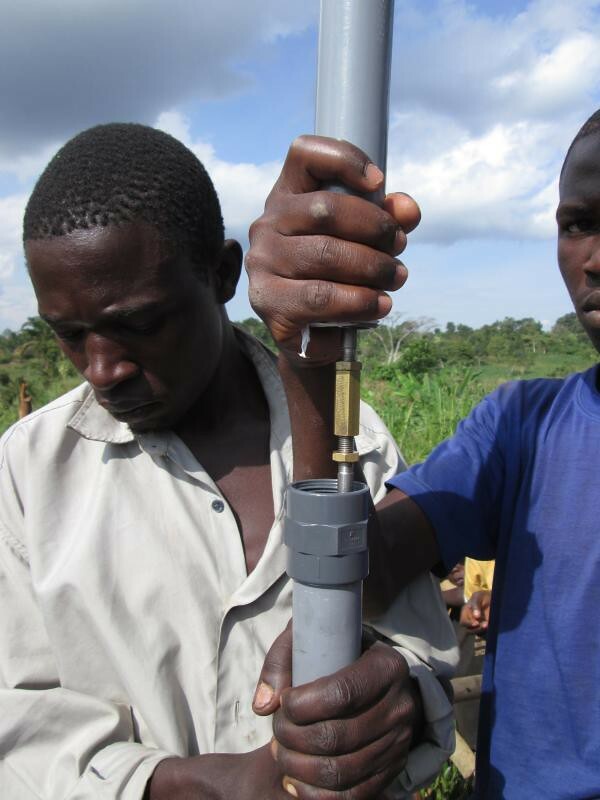 As this tank is deeper than the original well, we will more the pump onto this well and put a pipe between the 2 tanks so that the first tank’s water flows into the second. 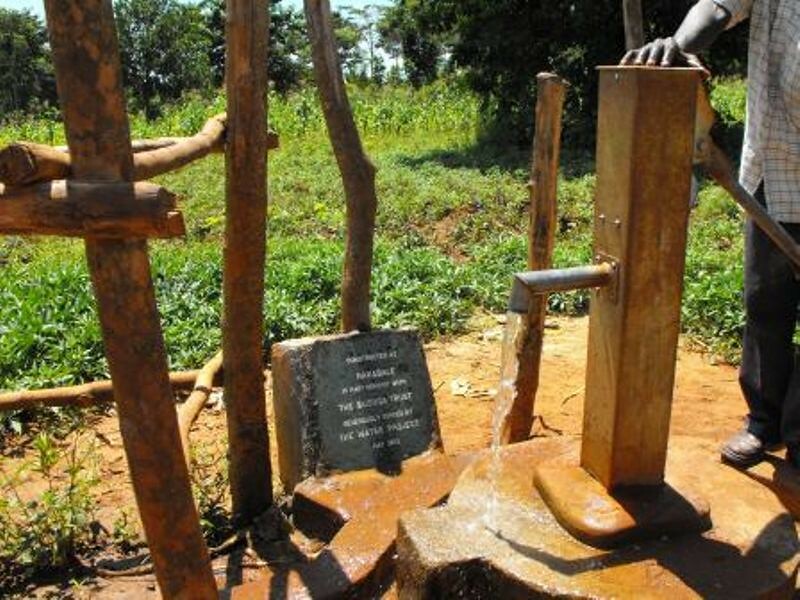 After some difficult setbacks, we are happy to report that the village of Nakabaali, Uganda, finally has a completed, functional well delivering clean water. 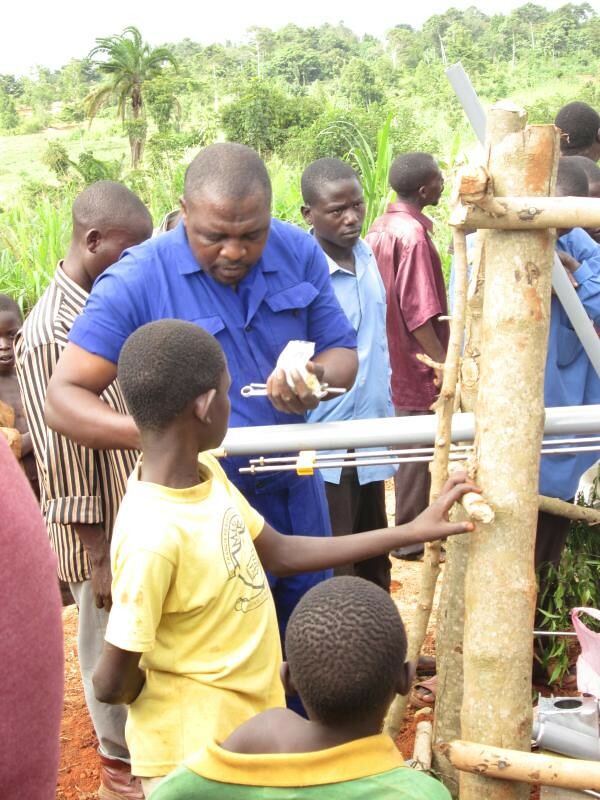 See the updates from our partner in the field below. 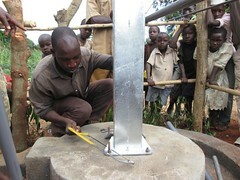 Also check out the new pictures of the completed well! 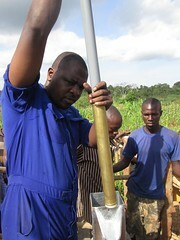 26/6/2012 – The well was completed as described by the technician Lukwita. We have to give full credit to his leadership in maintaining the enthusiasm of the community to keep digging well after 2 failed sites. We will reward everyone by installing the well this Firday. 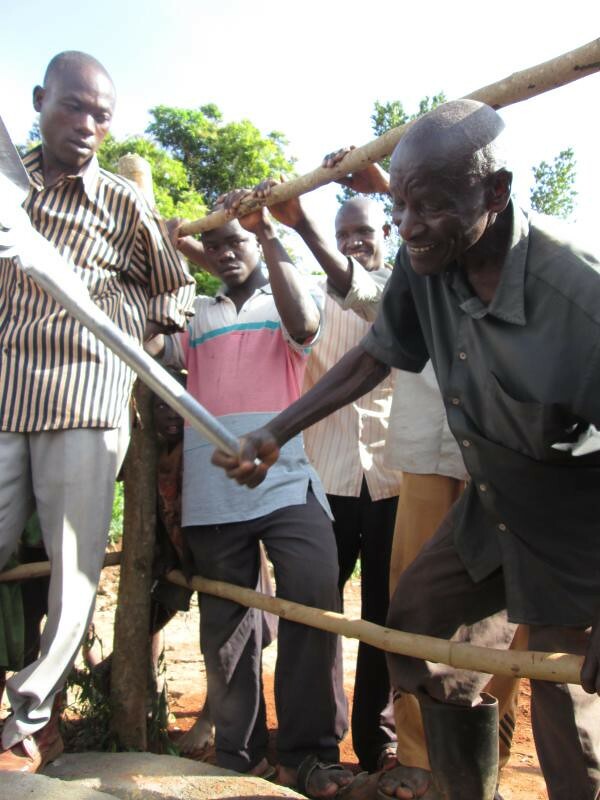 29/6/2012 – The o&m training session took place this morning and was attended by a large crowd of mainly men, beneath the rocky outcrop in Nakabaali. 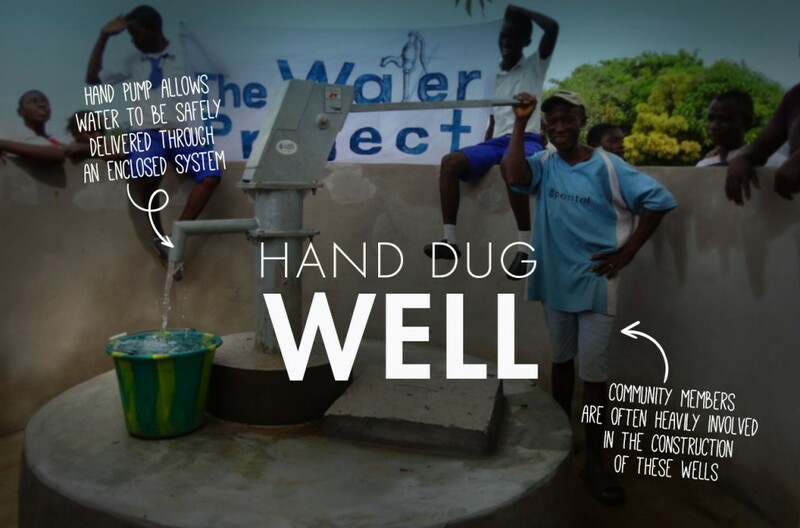 This session explains the roles of the water user committee in maintaining their well, for example how to maintain the surface and surrounding area to prevent contamination, as well as how to raise money from users to pay for spares to the pump and how to go about procuring the spares. 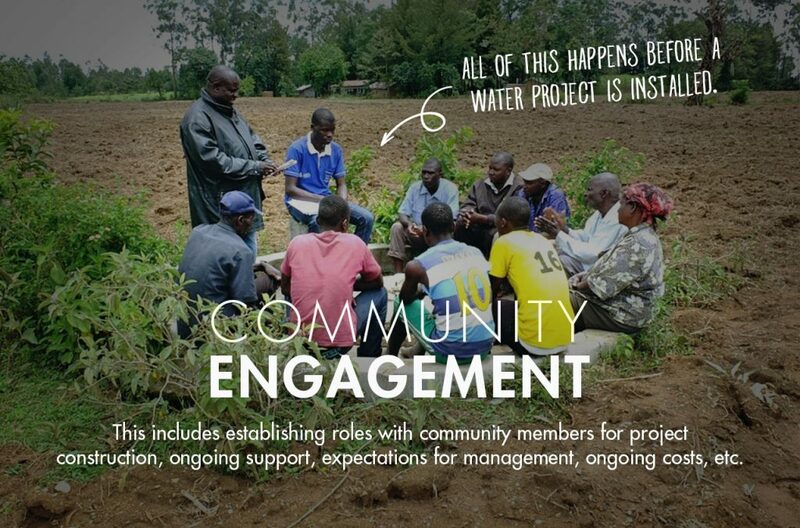 Hopefully this message will be acted upon and the committee will have a successful long term water source. 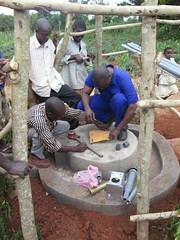 After the meeting, we drove down to the site of the well and installed the Consallen pump. There was a large crowd of again mainly men (apparently the women were in the fields preparing to harvest) and children. 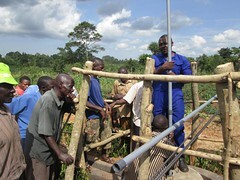 The installation process took about 1 hour and the chairmen of the village made the first few pumps of fresh water. 13/6/2012 – Arrived on site with Baisi, Harriet, Edison, this is the 3rd site to be attempted and we have had to move a bit further away from the centre of the village. 7 people are on site but there still seems to be enthusiasm for the community to find water. 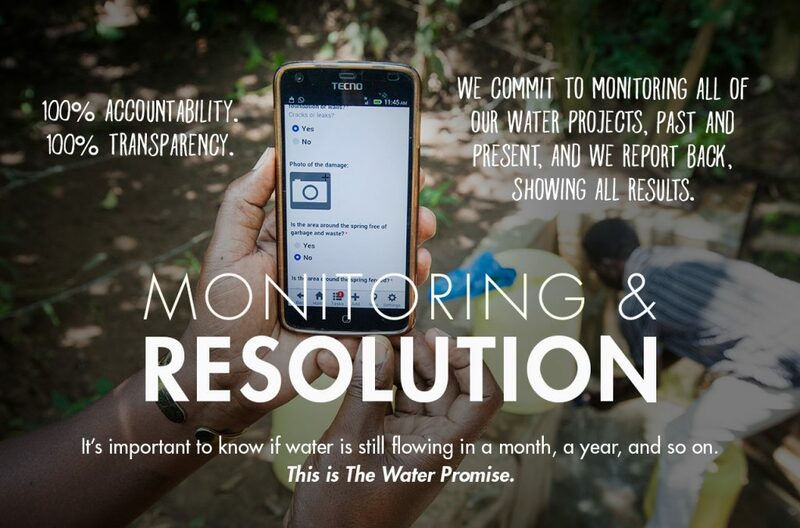 The formation is hard, 3 of our 3 mobiles have been broken, but thankfully water has just been struck at 20ft. 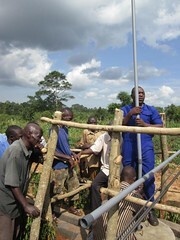 18/6/2012 – Had a report from Kenneth on site saying that over the weekend they have reached 29ft with a 9ft water column. We will be going to site later in the week to verify, and hopefully that means construction will soon be over. 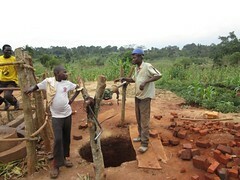 21/6/2012 – Arrived on site, the well has been partially bricklined. However, the community have failed to provide sufficient bricks. Therefore, we are simply waiting for the final bricks to arrive and then the well can be completed and covered. 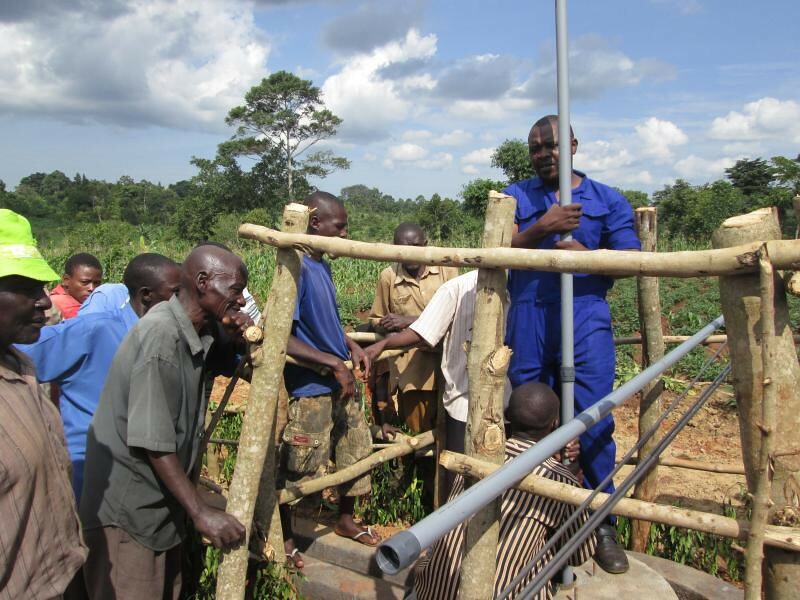 25/6/2012 – We had communication from the technician that over the course of the weekend the well was completed to a depth of 29.5ft with a 9ft water column and a recharge rate of 2ft per hour. 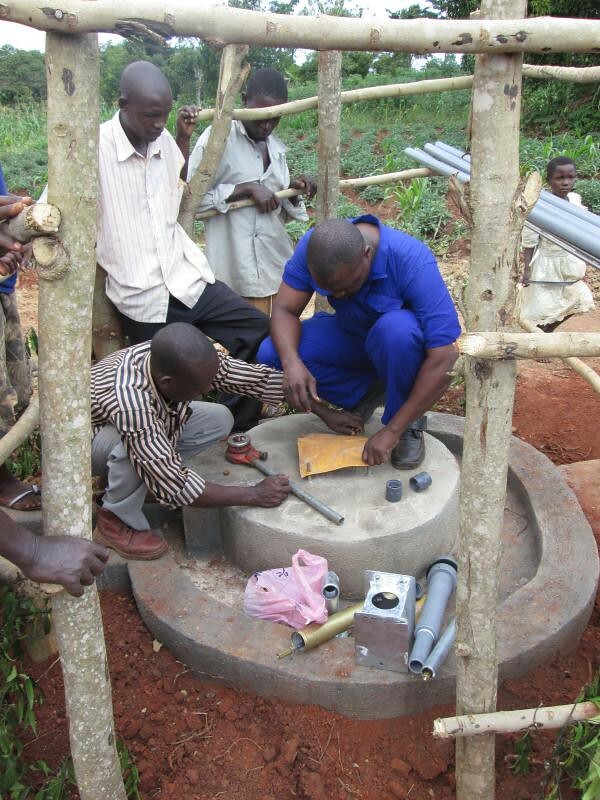 We plan to visit today and verify the satisfactory completion of the well. 8/5/2012 – Held the 1st village meeting having identified the villages from one of the many applications received by our office. 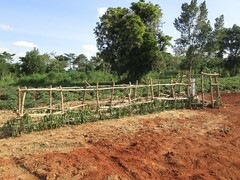 It is situated in Mayuge, Busakira sub-county our newest project area. 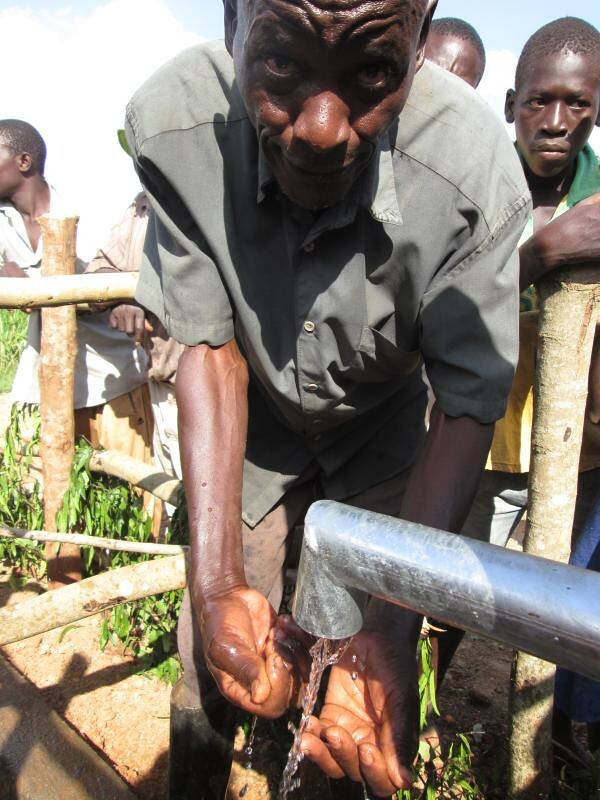 172 people attended the meeting, which is a good indication of their desire for safe water. During the meeting, expectations and responsibilities of the villager were explained by our social workers. 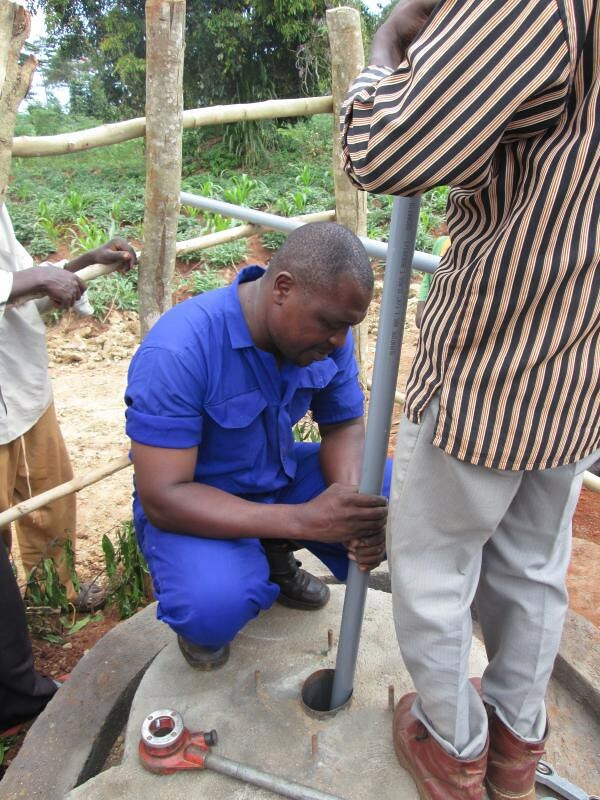 Primarily, this was the need for improved sanitation in return for provision of a safe water source. The village are expected to contribute local materials, labour and accommodation to our in field technicians. 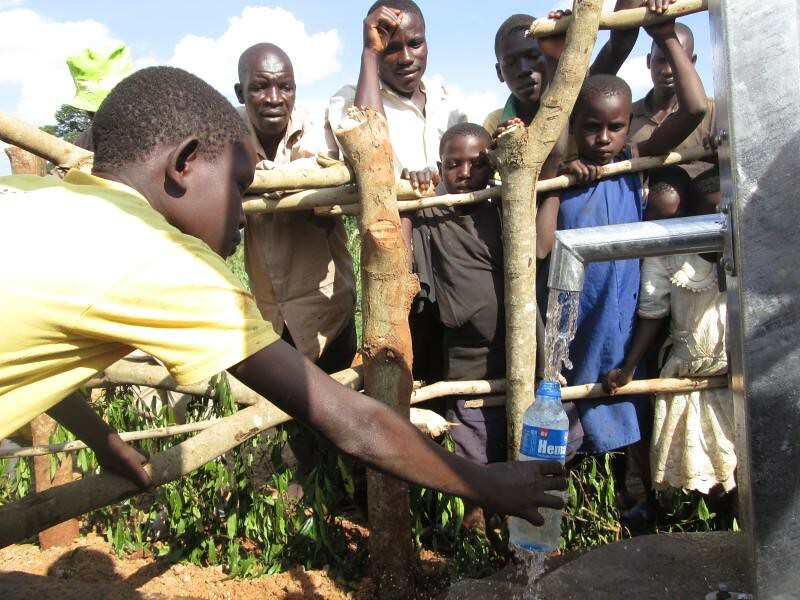 The water users committee was elected from the present and they will be the inhabitants in charge of looking after the water source and the smooth running of the project. 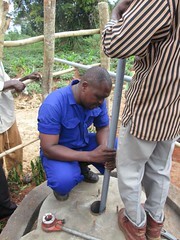 14/5/2012 – Community led total sanitation training took place, 130 inhabitants were present. 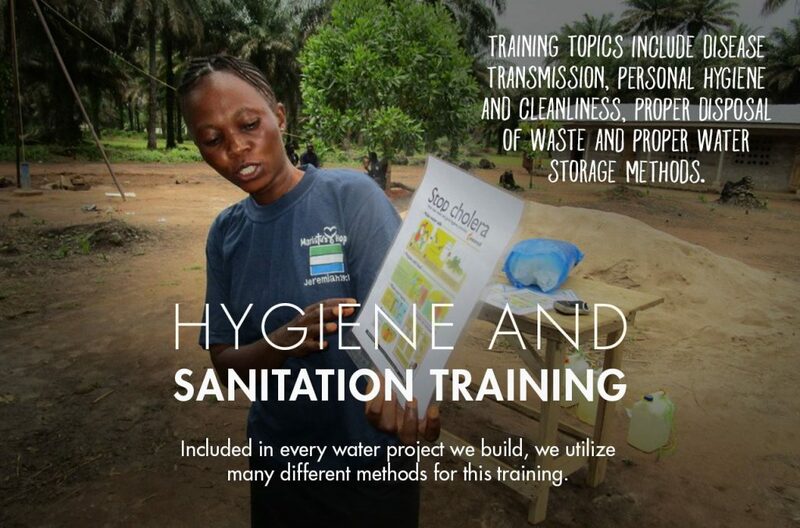 This programme demonstrates the importance of good sanitation, especially latrine coverage, in preventing food and water from being contaminated. 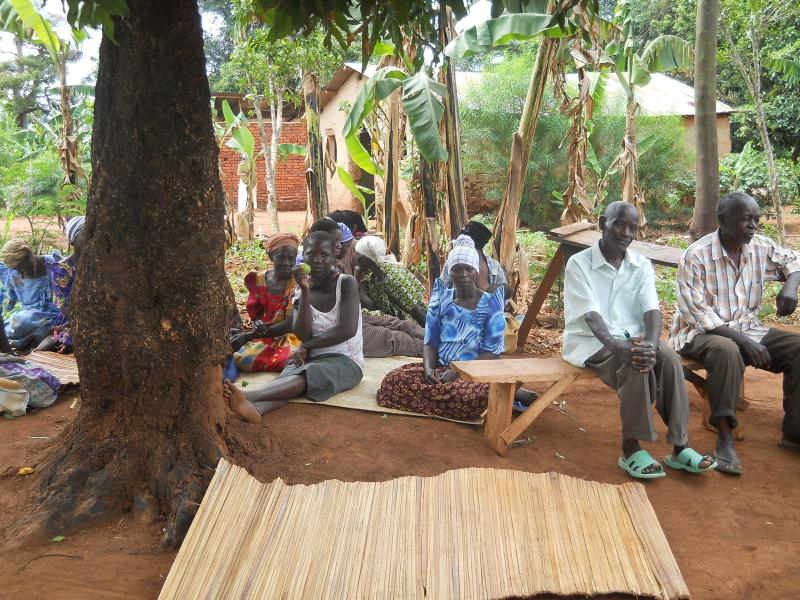 The head social worker, Josef Baisi, voice concern to the audience of how few people in this large village had existing latrines and that the situation needed to be improved before construction could begin. Once suitable improvements have been made the technicians can be brought on site to begin construction. 31/5/2012 – Kenneth Lukwita, the technician, and his helper Isanga Safiki were this morning dropped off at the site to begin construction of the well. Follow up visits by the socially team had recorded improvements to sanitation and therefore the go ahead was given for construction to begin. 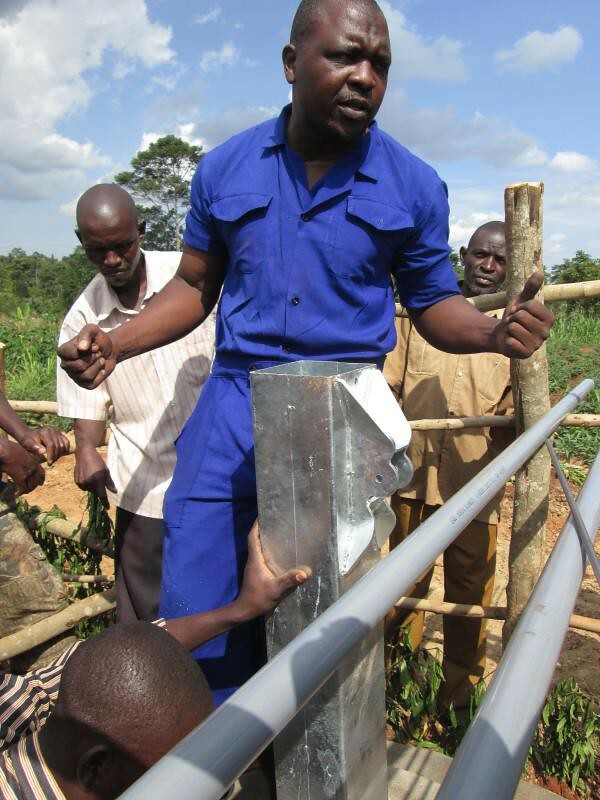 A site was chosen with the help of the water users committee and using the expert eye of our Technical Supervisor, Edison Waiswa. Hopefully, the site doesn’t encounter the large rock that the village is famous for. 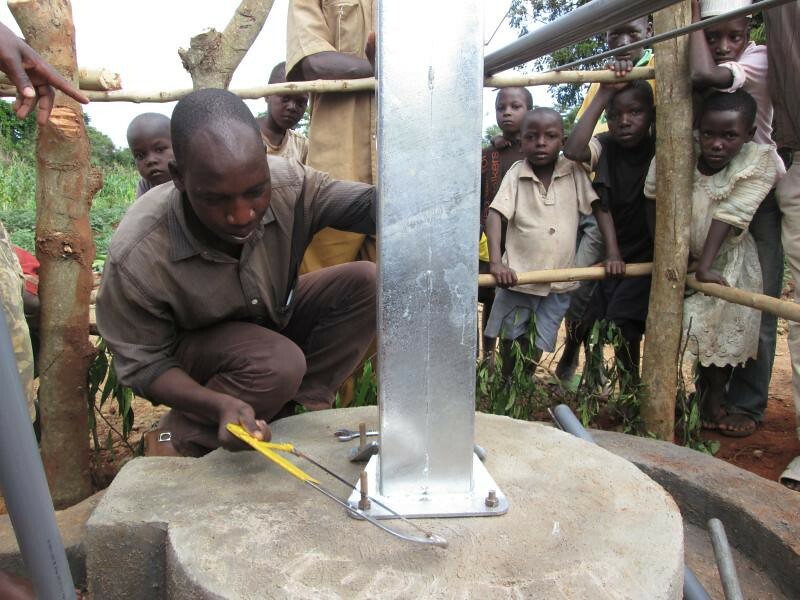 4/6/2012 – The construction is going well, the participation is high and despite going through hard formations we are making good progress at 12ft. No water yet, but fingers crossed. 7/6/2012 – Of course the luck couldn’t be sustained. A rock was struck at 24ft on site 1 with no water, so we have moved to another site. The community participation is very high, and in the space of a day and a half they have reached 30ft. We delivered a longer rope to site to enable work to continue, hopefully they’ll be no subterranean surprises. 11/6/2012 – Had confirmation that the basement rock was struck at 45ft over the weekend! 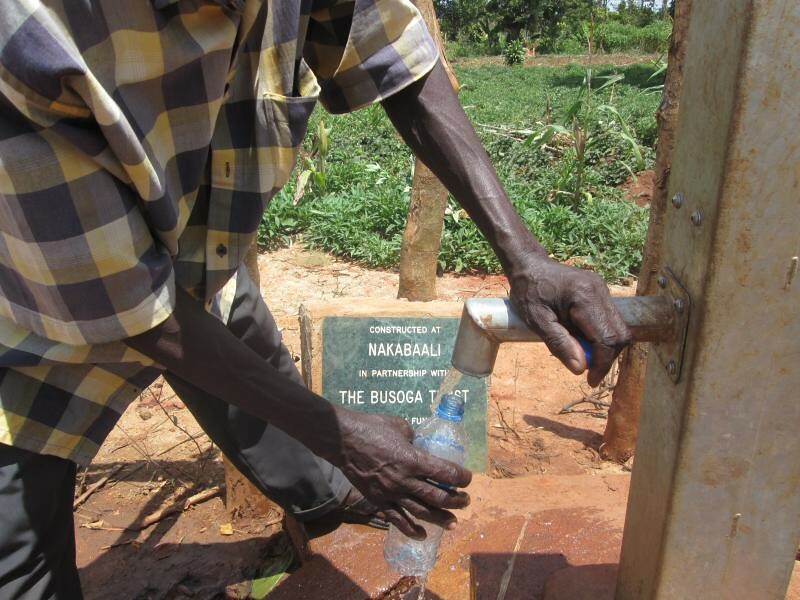 Sad news for the people of Nakabaali, especially as no water has been found to date. Nevertheless, participation remains high and they have already start site 3. 3rd time lucky is what we say…..